These photos represent some of my installation works. 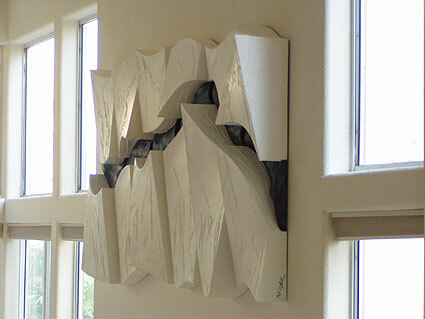 These are three dimensional sculptural works made of canvas with a plywood frame. The surface is finished with either an oil, acrylic or metal patina. 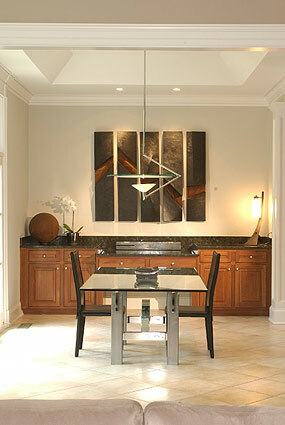 Due to the nature of the materials the work is fairly lightweight and is easy to hang. My work can vary in size to fit the required space. 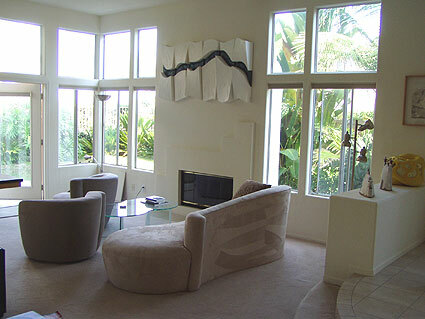 I can work with you from emailed photos of your particular space and with your color schemes in mind. Price is based on the scale and complexity of the work.